The aim of the Lightroom Survival Kit 7 is to give you the overview and necessary tools, as well as a way to handle editing so that you can produce the image quality you require in Lightroom, without having to know everything about the software. The Lightroom Survival Kit 7 gives you the necessary setup for a secure and efficient workflow when you empty your images onto the computer. 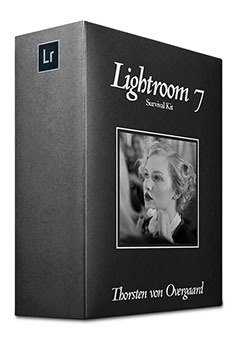 The Lightroom Survival Kit 7 is not a "know-all-about-the-software" and all the features of Lightrooms. It's for photographers who wants photographic results using Lightroom - without having to spend hours by the computer.